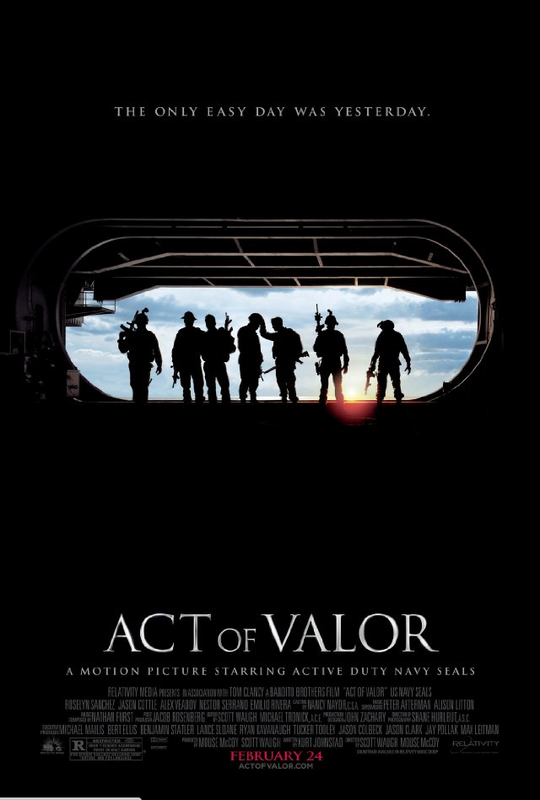 On February 24th the new movie Act of Valor will launch and people all over the country will be able to see it in their local theater. Last Thursday, Feb. 16th, I had the privilege of attending a sneek preview of this movie. A movie that will put you on the end of your seat and super glue you there for the whole 101 minutes. The emotional intensity was such that my wife was uncomfortable for rest of the evening. The trailer is a small view of the whole picture, but doesn't do what so many other pictures do and give you a view of all the high points. What makes this movie so different is that the stars are not professional actors, they are professional soldiers. Soldiers that serve in the Special Warfare Command , specifically the Navy SEALs. They are not the best actors, but to be honest, there isn't a lot of acting needed. 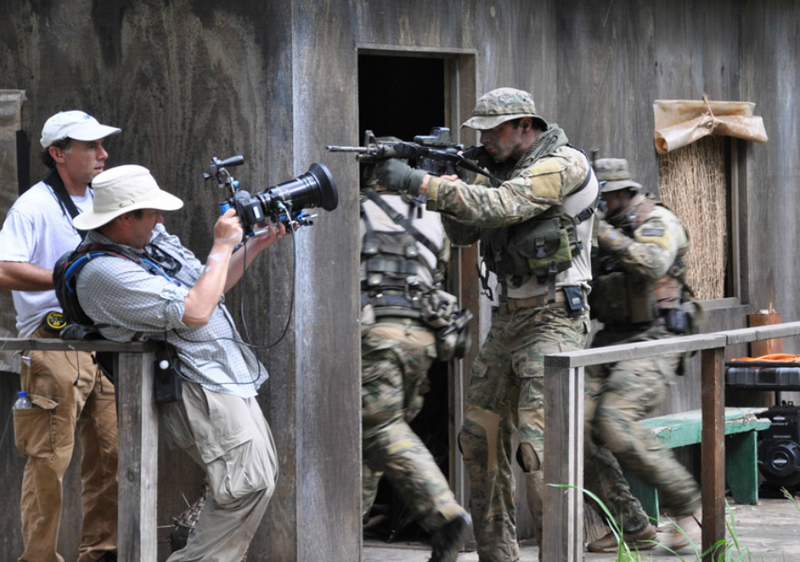 The SEALs are also known as Operators, and the operators in this movie are the real deal. Obviously there are real actors in the movie, and they all did their job wonderfully. Jason Cottle played a great terrorist with a massive plan of revenge on the US. Alex Veadov was awesome as a drug and arms smuggler. The SEALs themselves are not credited anywhere and are currently back in the field doing the job they volunteered to do long before they were picked to act in this movie. My favorite moments include the hot evac of the team where the fast boats roar up and open fire with their M134 miniguns. Did I mention that they did a lot of filming in "live fire conditions"? Yeah, that means that those guns were really blazing. I know these weapons from personal experience, and I have to say, those things can make you shudder and shake when they go off. At up to 6000 rounds per minute these things sound like a buzzsaw and have the effect of the same on the target. The movie has some very touching moments and has a great memorial to the operators who have lost their life since 9-11-01. The story is supposed to be based on actual missions that the SWC has run. I don't know how accurate and real the story is, but it does seem to have a thread of truth to it and, even scarier, the story could happen with the conditions of our border and forces. But the story isn't just about the combat these operators are in, but also the families the men have back home waiting for them. One of them is a father of 5, another is an expectant father. This part of the movie is a healthy reminder that the soldier we see is part of a family just like us and there are loved ones waiting for them to come home. As the movie opens the producers talk about the fact that the families you see are the actual men's families and that the sadness you see on their faces as the men head out on the mission. If you want to know the price that our military pays each day and the reason you have have the freedom to read this post, go see this movie. Just be aware you will find yourself caring what happens to these men and their families. Great review for an excellent movie. I had a headache for hours afterwards but well worth it!